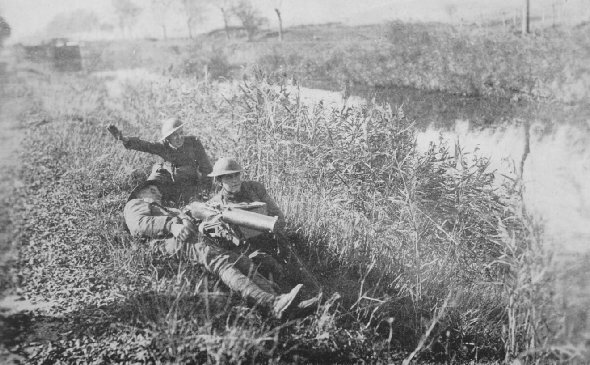 American machine gunners on Alsace front. Machine gun nest of 339th Machine Gun Battalion, Company A, Lieutenant Bell in command, on Rhone-Rhine Canal, near Eglingen. October 29, 1918. 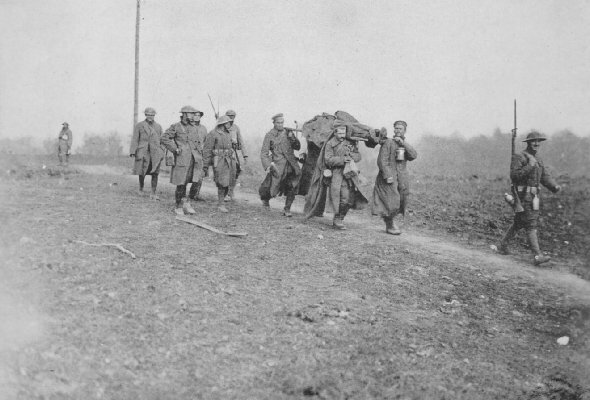 Prisoners captured by Americans carrying in one of our wounded men. Bois de Foret, November 1, 1918.